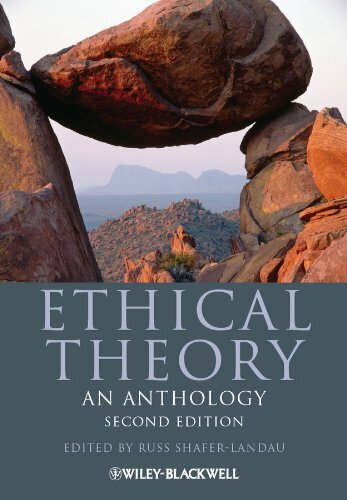 The second edition of Ethical Theory: An Anthology features a comprehensive collection of more than 80 essays from classic and contemporary philosophers that address questions at the heart of moral philosophy. Brief Description Features a collection of 80 essays from classic and contemporary philosophers that address questions at the heart of moral philosophy. An engaging and innovative approach to the study of ethics and the development of moral reasoning skills through film. Introduction to the basic theories and concepts of moral philosophy using examples from classic and contemporary television shows. Uses the best available readings to ask the central questions of ethics: What is the nature of morality? Why be moral? What are the requirements of morality? Russ Shafer-Landau is Department Chair and Professor of Philosophy at the University of Wisconsin-Madison. His previous publications include The Foundations of Ethics: An Anthology (2006, with Terence Cuneo) and Moral Realism: A Defense (2003). He also the editor of Oxford Studies in Metaethics.